If he ever sees you down, he will be the first person to cheer you up. It’s just that he miserably fails in that too. However, every now and then, Sagittarians will turn up with such a compliment that will instantly lift up your spirits. Then, you will fall in love with them again. They are completely extroverted, very talkative and totally straightforward. 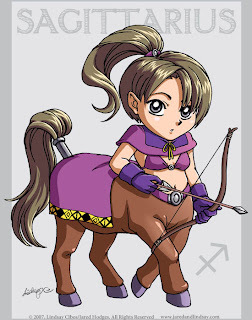 A Sagittarian will usually come across as a very cheerful and pleasant person. However, he has a violent temper also, which is aroused when people try to push him around or try to get too close.